Last year when we sailed through the Great Sandy Strait we found ourselves keeping watching all night in the Susan River as the wind gusted up to 40kts. When the weather forecast started showing signs of another one we decided to be better prepared this time. 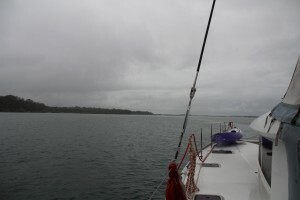 This morning by 10 o’clock the wind had blown south and the rain had slowed to a drizzle. We know it’s going to blow again from the west later today so we’ll move anchorage to somewhere more protected from that quarter. For now it’s a day for catching up on blogs, contemplating revamping my blog and reading! And there will be plenty of writing this afternoon as well. 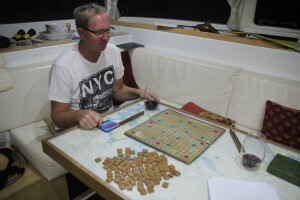 I may be able to con Graham into another game of scrabble, although I think he’ll want a guarantee he won’t end up with 7 vowels in one hand!! 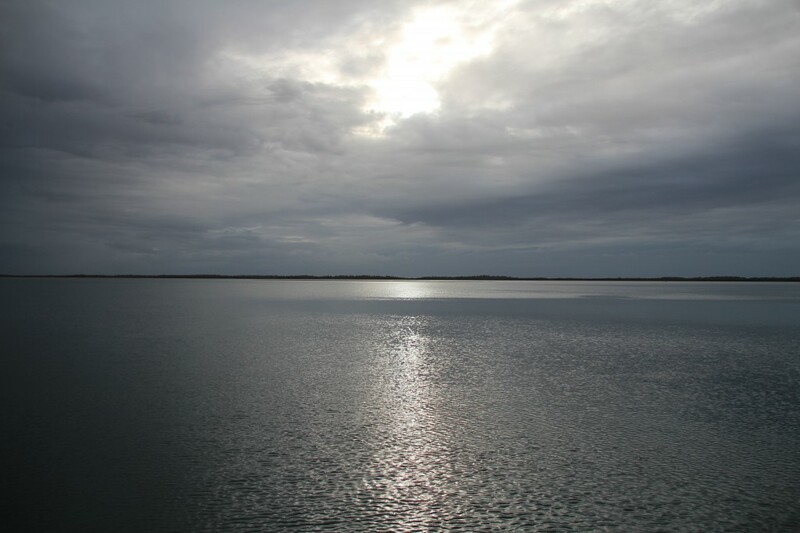 Blog Australian Romantic Suspense, East Coast Low, Extreme weather, Fraser Island, Great Sandy Strait, Hachette Australia, Helene Young, Lagoon 400, Northern Heat, Penguin Australia, Roo-Bin-Esque, Roobinesque, Safe Harbour, sailing. permalink.